There are many signs of foundational issues that people tend to look over or completely ignore. Cracked paint that occurs on interior walls is a common sign of foundational damage, yet many people simply think that painting over them is a solution. They mistakenly believe that cracked paint is a cosmetic issue rather than a foundational issue. So how do you know when cracks are small issues or when they are a really big deal? Home foundations are the most integral part of home construction and longevity. When there is an issue with a home’s foundation, the stability and safety of the home is compromised. 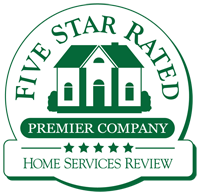 At any sign of questionable issues with the foundation of a home, a professional opinion should be sought out. • Cracks bordering doors and windows. • Prominent cracks from doors to ceilings. Painting over cracks in sheetrock is never the answer. All you are doing is hiding a problem with a cosmetic solution. Yes, it will make the wall look better, but it will do nothing to correct the much greater issue that continues to lurk inside your home. Also, the new paint will eventually begin to crack as the house continues to shift even more. If you identify any of the above signs that your foundational structure is compromised, it is important to contact the services of a trusted company to repair your foundation. 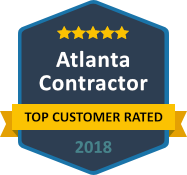 Anglin’s Foundation & Masonry Repairs is Atlanta’s choice. 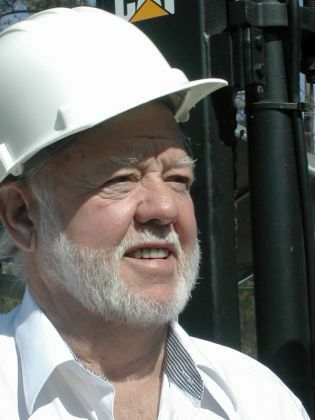 Our company has been in business for over 85 years. 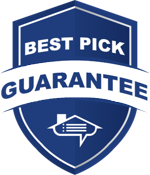 Our commitment to excellence, state of the art equipment and systems, price protection guarantee, and lifetime transferable warranty give you the confidence to trust us with your home. Cracks should not be ignored or painted over! 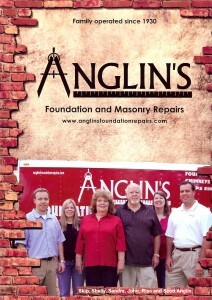 Contact Anglin’s Foundation & Masonry Repair today for an expert opinion and solution to your issues.